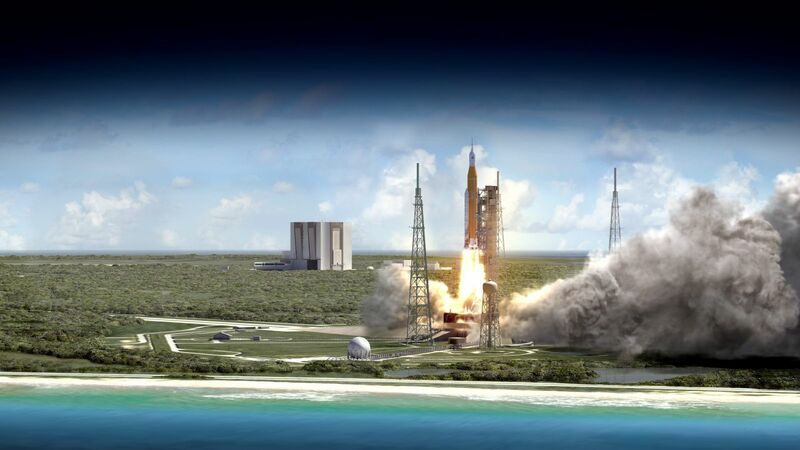 PROMONTORY, Utah — NASA is eyeing a 2019 launch for its new super-heavy-lift Space Launch System (SLS) rocket and Orion spacecraft. While some of the systems are so-called legacy hardware, they have never been flown in this configuration without a side-mounted shuttle and with a mandate to take crews far beyond low-Earth orbit. For each mission, NASA is not only relying on the parts to guarantee its astronauts travel safely to these distant destinations but also people who work every day to ensure these components are as reliable as possible. At Orbital ATK‘s Promontory, Utah, facilities, the company is working to produce the Solid Rocket Boosters that will be used on the first three SLS flights. These motors have five segments, as opposed to the four that were used to propel NASA’s Space Shuttles into orbit. This version of the boosters burn some 1.4 million pounds (628,225 kilograms) of propellant in just two minutes. Engineers with Orbital ATK have already carried out a series of tests on these boosters (three Development Motor tests and two Qualification Motor tests). Now, they are preparing for the first operational flight of SLS, which is currently scheduled for late 2019. While SpaceFlight Insider was at Promontory for the Launch Abort Motor Qualification Motor test 1 this past June (2017), we sat down with several of the engineers who are working to get these boosters ready for the inaugural flight of the giant SLS. The engineers interviewed included Mike Fuller, who works with the Dulles, Virginia-based company’s propulsion systems; Ted Goodey, Orbital ATK’s operations team manager; and Jeremy Redden, a program manager working on the boosters that will be used on SLS. Each explained a bit about the processes involved with manufacturing these motors, as well as their thoughts about the importance of the new rocket and the Orion spacecraft that will ride it to orbit. That was a pretty interesting segment. Hopefully, NASA can launch the SLS behemoth in 2019.